Poland made of the opening of world war two with a large standing army and nearly 500 tanks, but it was not enough to face the Wehrmacht and even less to face the Red Army attacking from the east, following the secret protocol established after the signature of the non-aggression pact on 23 August. Despite a resolute and brave defense, the Polish Army was overwhelmed. The surrender did not stop Poland to fight, however, first in the air over Great Britain, and then with the British Navy, in North Africa, and gradually in Italy with much superior forces. By the fall of 1944, a full armored division and several infantry divisions were constituted. 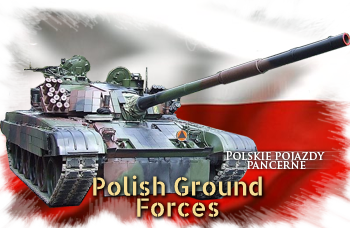 For more, see the page covering the 1920-1945 era, ww2 polish tanks. After the liberation of Poland by the Red Army, a new provisional pro-communist government was established and in mid-1945 a brand new Polish Army rearmed with Soviet tanks branded with the Polish eagle participated in the final offensive in sectors let down by Soviet forces previously. To the dismay of officers and men which fought together with the allies when the war was over and after peace transactions with Stalin, Poland found itself inside the Soviet sphere of influence, perhaps as a token of appeasement for what was still an ally then. Poland then gradually set up its own tanks industry, producing in the 1970s thousands of T-54, 55, and T-72s together with Czechoslovakia, becoming the main provider of Tanks and AFVs among Warsaw Pact countries. This experience and assets were still there when the Soviet Union collapsed. 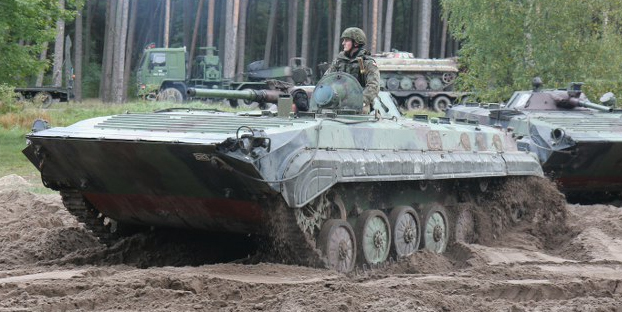 As a symbol of the new Polish Army, the Pt-91 Twardy seemed an interesting transitional tank, between the locally produced T-72M1 and the perhaps future Polish Tanks, like the impressive OBRUM PL-01, although the latter is an IFV, not an MBT. The Leopard 2A7/NG seems to be the next MBT, possibly with an envisioned local production. 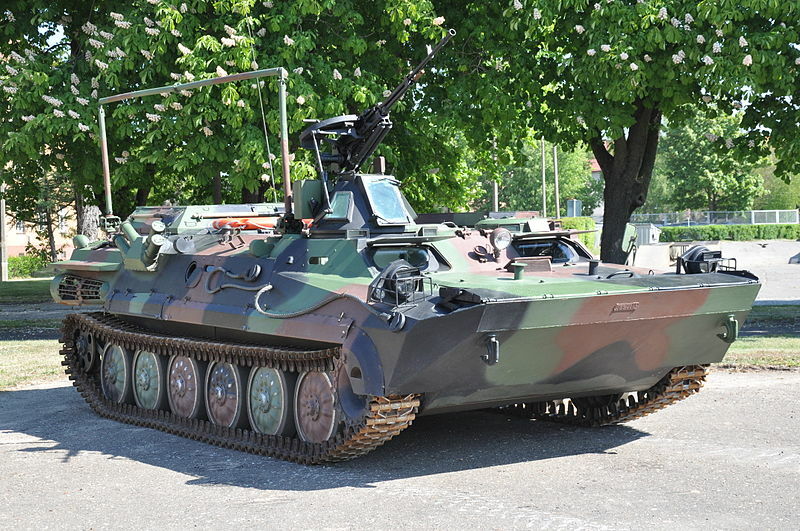 The KTO Rosomak, another strong symbol of this renewal of the Polish military industry. 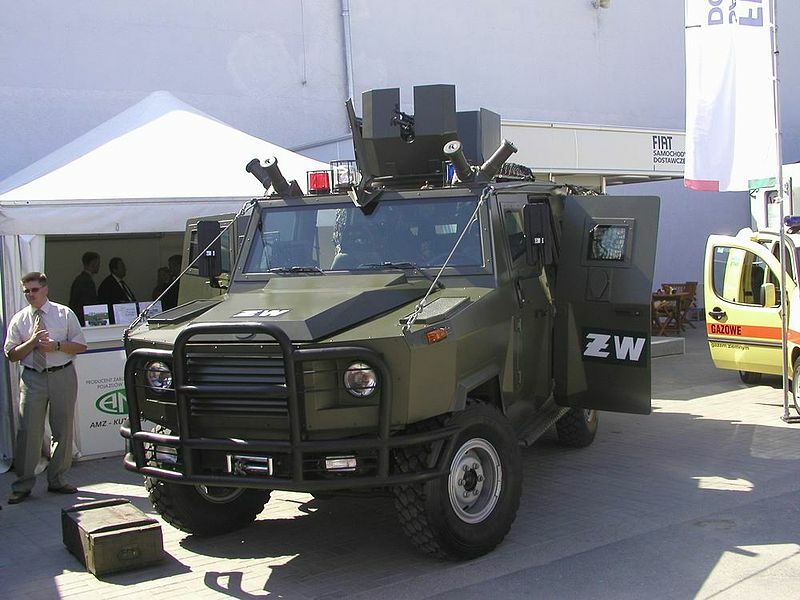 It looks obviously as another design influenced by the Mowag Piranha 8×8 family, a versatile platform that could be tailored as IFV, APC, ambulance, command post… These form the bulk of the Polish APC force today. PL-01, the future Infantry Fighting Vehicle of the Polish Army (planned for 2018). Leopard 2 128 Leopard 2A4, 63 2A5 and 2 Leopard 2NJ (currently in evaluation) are in service. PT-91 TwardyAn all-out improved and modernized national version of the T-72M1 (1993). 92 Pt-91, 27 PT-91M and 113 PT-91M1 are in service, the oldest pending upgrade to the M1 level. Polish T-72 JaguarThe T-72 was license-produced in Poland since the late 1970s, chiefly for export. In 2009, about 580 T-72 were in service: 172 T-72s, 135 T-72A, 254 T-72M1 and 23 T-72M1 plus some SJ-09 and “Wilk” prototypes. Many were converted as PT-91s, sold or kept in storage, being replaced by the Leopards. BWP-1 The locally-designated BMP-1 since the 1970s. 1400 were ordered in 1969. Now less than 800 are still operational, and a few are declined into the BWP-1D (33), BWR-1D (22) and BWR-1S (16) specialized variants. Pending replacement by the PL01. 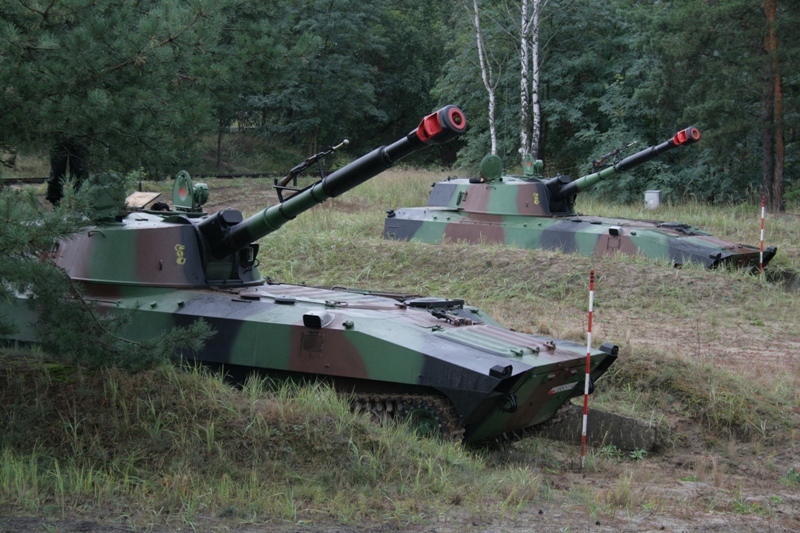 2S1 Gvoździka Polishselfp-propelled artillery fleet comprises 324 of these 122 mm SPHs, 111 wheeled Wz. 1977 Dana (Czech-built), 8 Krab, and several Rocket-launcher vehicles. WZT-3MOnly 29 of these ARVs derived from the PT-91 are in service, however, it was a huge commercial success, with 556 being sold to India, and 6 to Malaysia in support to the Pendekar, derived from the PT-91. 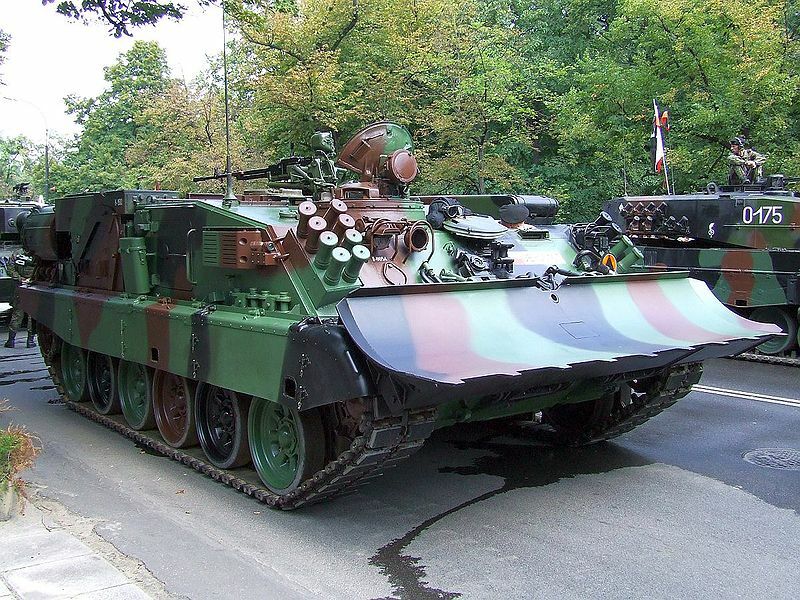 Others ARVs in polish service are 40 WZT-2 (T-55 derived), 74 WPT Mors (derived from the MT-LB) and 28 Bergepanzer 2. TRI 90 of these CEV and recce vehicles are in service (derived from the MT-LB). Also in service are 8 MID Bizon-S (dozer CEVs), a few amphibious PTS (50 used by the Navy), 24 SUM kalina minelayers, 6 ISM Kroton, 4 Keiler, but also 126 BLG-67 and 6 Bieber bridgelayers. AMZ Dzik The light vehicles fleet counts many vehicle types, starting with this local, recent Dzik/Dzik-2.